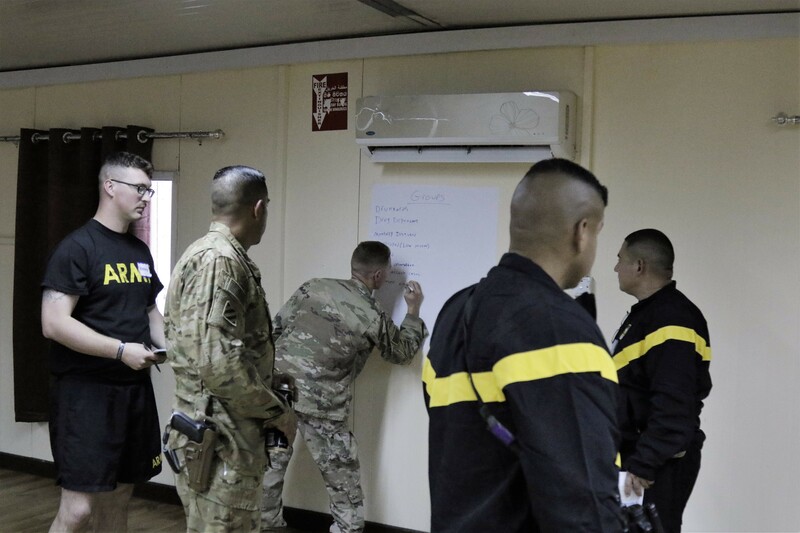 CAMP TAJI, IRAQ -- Soldiers were given the opportunity to attend the Applied Suicide Intervention Skills Training or ASIST on October 12, 2017 at Camp Taji, Iraq. 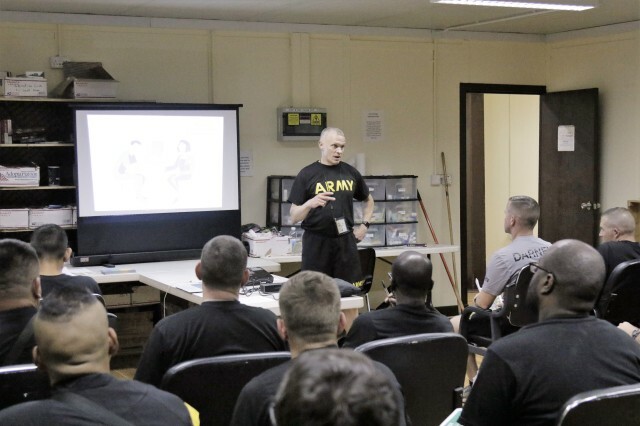 This two-day course shows soldiers the signs of suicide and how to better intervene. "The class helps you be on the lookout for people that might be at risk for suicide. It gives you the confidence and care to ask directly about suicide," said Maj. Nicholas Chou, 317st Sustainment Brigade chaplain. "Students learn to be patient and hear that person's story before engaging." 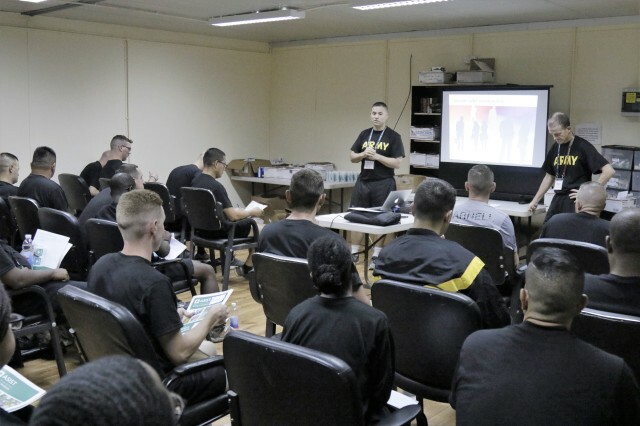 This class goes beyond the U.S. Army's ACE Suicide Intervention Program, which assists soldiers in looking for the signs in co-workers and peers. ASIST gives leaders and care givers more specific intervention skills to meet the needs of the person at risk. Over a million people have attended ASIST training and the programs updated regularly. This brings new knowledge and practices to the for-front to improve suicide prevention. "I had a situation about a year ago were I picked up on a soldier being suicidal. The next day I was going to talk with him but I was too late and for a while I've lived with that guilt," said Sgt. Justin Clay, 275th Combat Sustainment Support Battalion. "Coming here I've been able to more effectively pick up those signs and using my experience of what I learned here I feel I can better educate my soldiers to recognize the signs in others if not themselves." 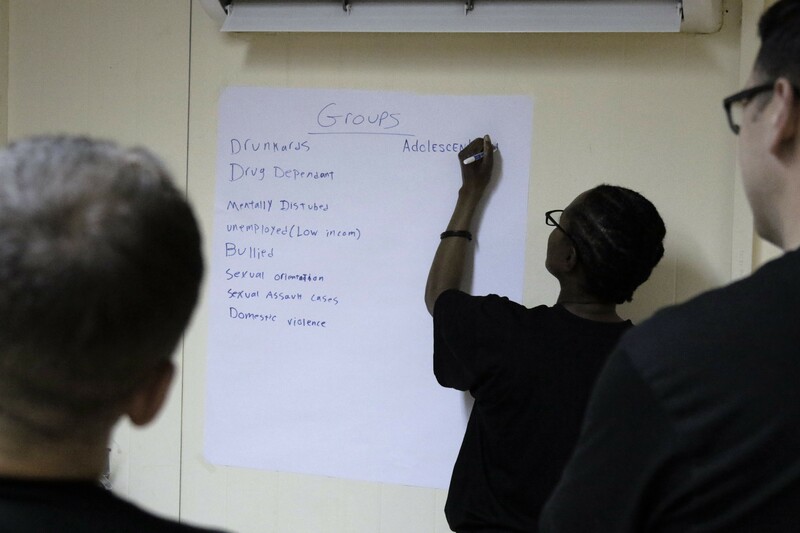 Attendees identify an effective suicide plan and see the value of improving the resources of their community to help. "We have found that for every soldier who attends this course that they engage in an intervention on average within the next couple years of this training," said Chou. "We have command support to make this happen and our goal is to train over 500 soldiers throughout the theater operating 20 workshops." "I highly encourage every unit to have 15 percent attend in the hopes to save lives," said Clay. The more people who take part in this course the more we could help bring down suicide numbers in the military.